Miss M brings home some interesting treasures from her visits to the farm. 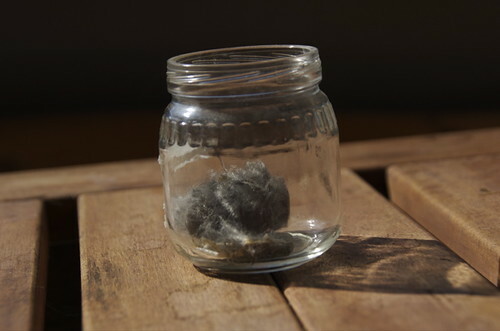 Recently it was this Owl Pellet — an Owl’s version of a hair ball. M was very excited to point out all the little bones hidden inside — probably those of an unfortunate field mouse. >> Visit KidWings.com for an incredible series of videos and flash animations to learn more about our feathered neighbors.